Log home Christmas traditions are often reminiscent of years gone by and Christmases spent with grandparents, and friends and relatives that we knew as children. 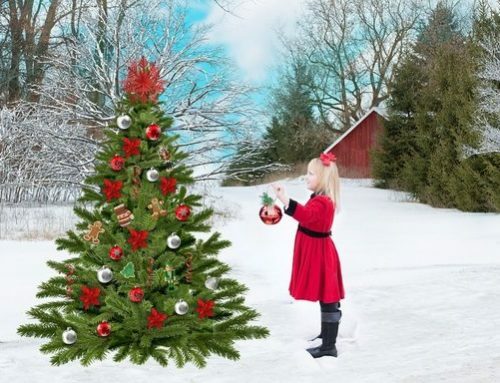 A country Christmas usually includes rural traditions that have been forgotten long ago, in many cities and towns. It’s like stepping back in time. Christmas in the country is special, reminiscent of Christmases long ago. Many country dwellers hold onto the old log home Christmas traditions and they keep the holidays free from commercialism. Isn’t that what a log or timber home is all about? It’s a way of life–not just a house. Did you ever stop to think about what made Christmas special when you were a child? Of course many people will immediately say that Santa came to their house with toys. But there is more to enjoying the holidays than just getting gifts. If you think about it, you also socialized with friends and family. Christmas is special when you share good times with others. And log home Christmas traditions just carry on the age old tradition of visiting with family and friends. Good old fashioned Christmas hospitality. A snack for Santa is one of many log home Christmas traditions.Your log home Christmas traditions will evolve over time, as you find specific ways to enjoy the holidays with your family. But there is more to enjoying the holidays than just getting gifts. If you think about it, you also socialized with friends and family. Christmas is special when you share good times with others. And, for many of us, attending a Church service, whether on Christmas eve or Christmas morning, was part of the excitement of the day. Church can make the holiday special, a time when you remember the Greatest Gift that was given to us. And giving is important, too. While it is fun to receive gifts, it’s much more fun to give them. 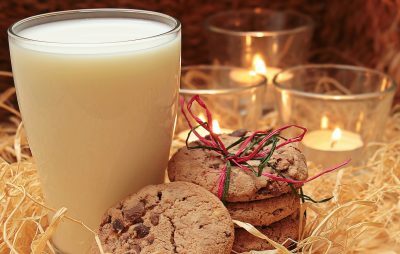 Just a simple project like taking a plate of cookies to the neighbors, can brighten YOUR day, as well as theirs. It’s very rewarding to surprise a neighbor with a little gift. And don’t forget those who are lonely or might not be remembered by others. Our family had a tradition of inviting one person, not in our family, to dinner each holiday. It was always a person who would not be spending the holiday with their family, and who would be alone. It was fun to include the chosen person, and they always appreciated being invited! You can make your holiday special, too, by thinking of ways to help others, surprising others with thoughtfulness and doing the things that you used to do at Christmastime. 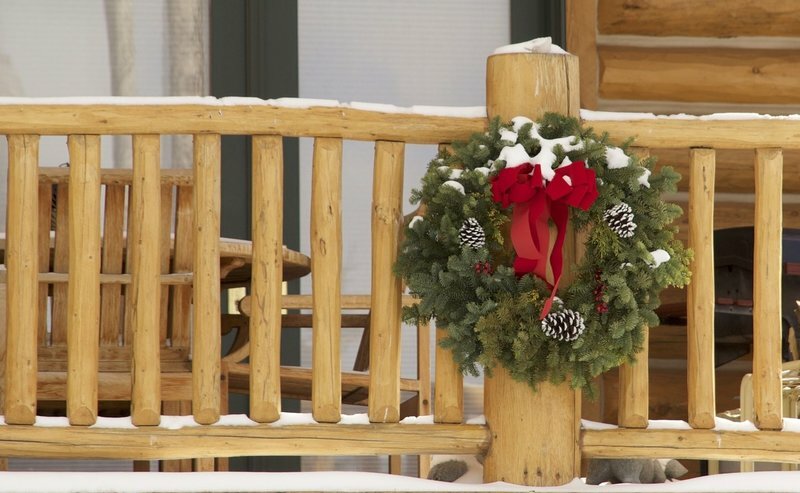 Decorate your log cabin with objects from Nature and country Christmas decorations, and use those favorite Christmas recipes, but don’t stop there. Linda is a retired occupational therapist who has always had a love of log homes and rural living. She has lived in both log and timber frame homes and enjoys gardening and outdoor activities.